Recently, I decided to give my husband a small surprise. I wasn’t sure what I should get for him. However, I knew that I wanted to find something small and funny. So, I went to my local thrift shop. 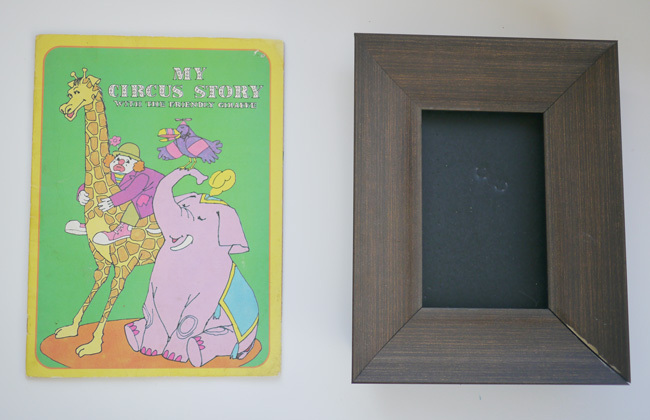 There, I found a very cute cat pen stand and a simple black picture frame. Maybe I could make a desk side tray that he can put his mug on while working! 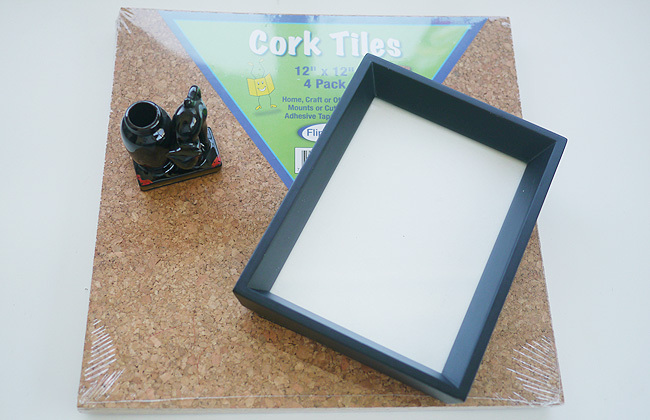 On my way back, I got a cork board from an art supply shop to replace the glass of the picture frame, so he won’t have to hear an unpleasant clack when he puts his cup on the glass. The cork would also be nice to put an icy glass on. The sweat of the glass would be absorbed by the cork and wouldn’t make his paper wet. 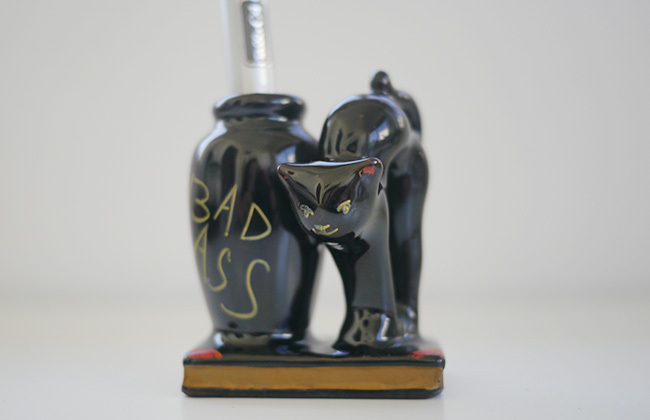 I drew the cat’s face which had washed away over the years and wrote “BADASS” on the vase because my husband totally is. 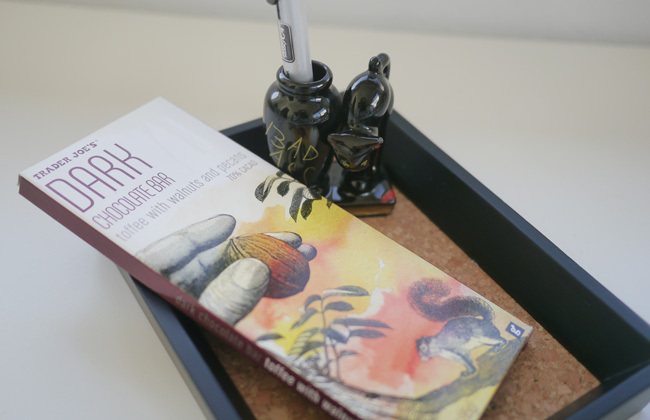 Then I put the badass cat and a dark chocolate bar from Trader Joe’s on the cork matted tray. Now, his badass work kit is ready! There is one more surprise. He has an old-school picture book which he got when he was a small boy. The book has his name typed and expresses how he is now. I thought it would be a great thing to decorate a room if we frame it. I scanned a page of the book, added a weak ombré effect, and printed it. 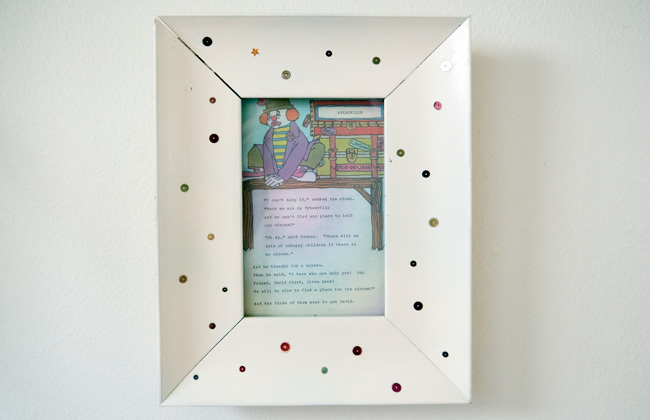 For the picture frame, I spray-painted it to white and added some spangles to make the bathroom more fun and circusy. I love making things. It is specially fun when we make something for someone. 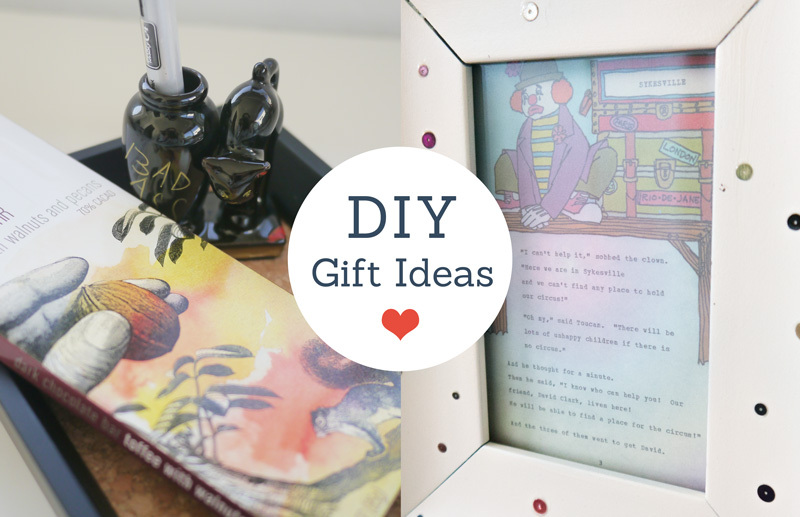 What are you going to make for someone next time?